The newest addition to Sea World San Diego, the Journey to Atlantis “water coaster” ride, incorporates many effects to create the illusion that the waters have receded and revealed the Lost City of Atlantis. Working closely with the general contractors and architect, T.B. Penick & Sons, Inc. was able to complete the complex flatwork design under strict time constraints, surpassing the owner’s and contractor’s expectations. Following are a few of the variety of textures and colors that create the look of a city that has risen out of the water. Upon arriving at Atlantis, visitors cross an integral colored concrete walkway that has been textured and antiqued to resemble an ancient boardwalk. The expansive plaza features decorative bands and swirls of Lithocrete® seeded beach glass and shells. Nineteen different shell and glass aggregates make up the Lithocrete® HD Concrete Flooring found at the entry queue. 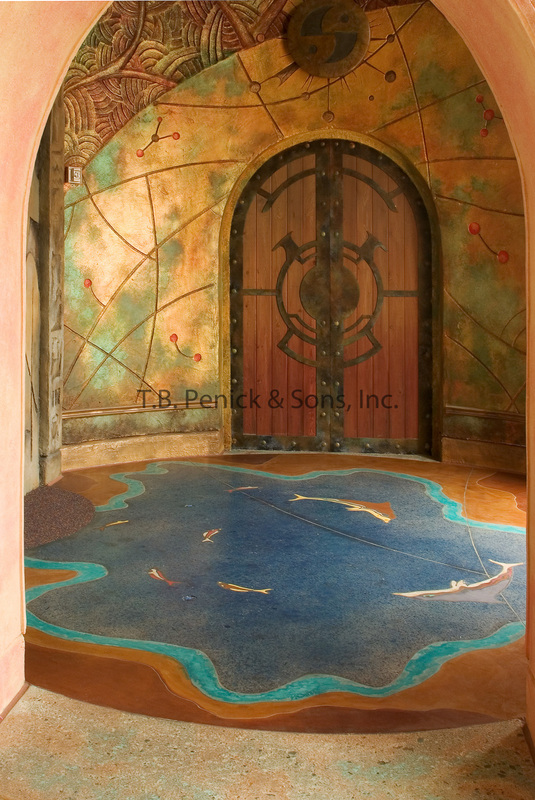 The dolphin images were created with stencils and our Microtopping System. Intricate sawcuts separated the images and bands. Reactive Coloration was also applied over the entire area to achieve the desired colors. The same process was used for the giftshop. The ride waiting area features more seeded shells and glass with an exposed buff wash concrete finish. Footprints are found in the loading area to represent how passengers are to sit on the boats. Upon exiting the ride back into the building, through the stairs, and around Commodore dolphin tank. T.B. 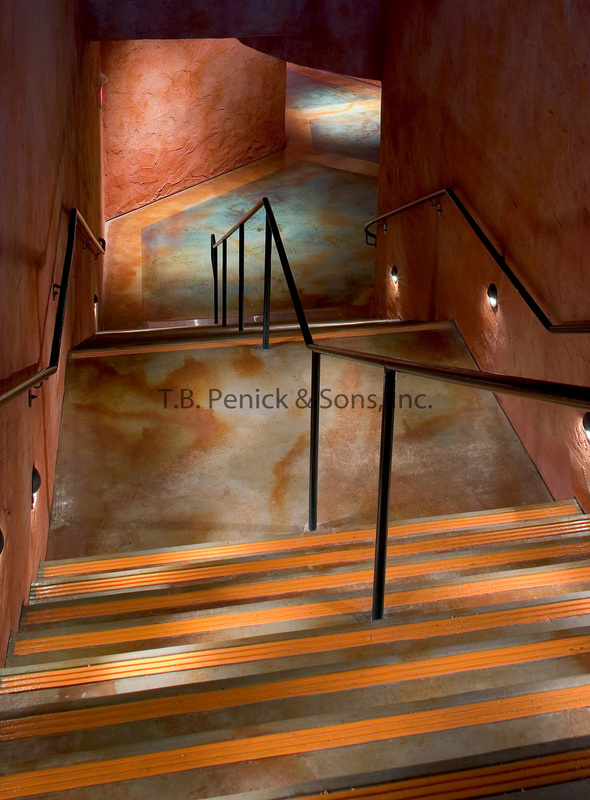 Penick utilized proprietary methods to create the antique look with our Reactive Coloration System.